Two equine medicine researchers at the NC State College of Veterinary Medicine have received highly competitive grants from the Morris Animal Foundation. Lauren Schnabel, assistant professor of equine orthopedic surgery, was awarded a nearly $132,000 grant for a three-year study on stem cell treatments for horses. 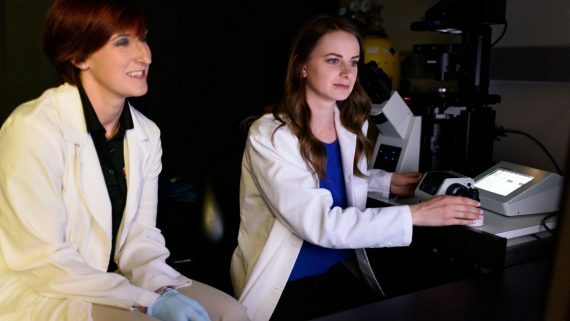 Jessica Gilbertie, a CVM graduate student and member of Schnabel’s research lab, earned a $100,000 grant for a two-year study to improve treatment of joint infections. Schnabel and Gilbertie are two of just eight researchers at seven universities worldwide awarded this year’s Morris Animal Foundation grants for large animal veterinary research. “We were very impressed with the quality of research proposals we received this year, particularly in area of equine health where we can make a significant improvement in the well-being of our horse companions, said Kelly Diehl, the Morris Animal Foundation’s senior scientific and communications adviser, in a press release. Left, Lauren Schnabel with Alix Berglund, right, a graduate research assistant who co-wrote the grant proposal. Schnabel’s research lab primarily focuses on equine stem cell immunology and other regenerative therapies for musculoskeletal injuries and diseases. Her project funded by the Morris Animal Foundation will examine if a new type of cell culture treatment can prevent an immune system from rejecting donor stem cells, improving a horse’s chances of recovery from a potentially fatal injury. Alix Berglund, a graduate research assistant and member of Schnabel’s lab, co-wrote the grant proposal. Gilbertie’s project will explore how platelet-rich plasma lysate may be used to fight joint infections that cause inflammation and osteoarthritis in horses. Last month, Gilbertie won the 2018 Elaine and Bertram Klein Career Development Award from the Grayson-Jockey Club Research Foundation, given to promising equine medicine researchers across the country. She has been a member of Schnabel’s lab since 2016. The Denver-based Morris Animal Foundation regularly awards grants for promising research benefiting a variety of animal species, including dogs, cats, horses and wildlife. CVM researchers have received numerous Morris Animal Foundation grants over the years. For more information on the Morris Animal Foundation, go here. 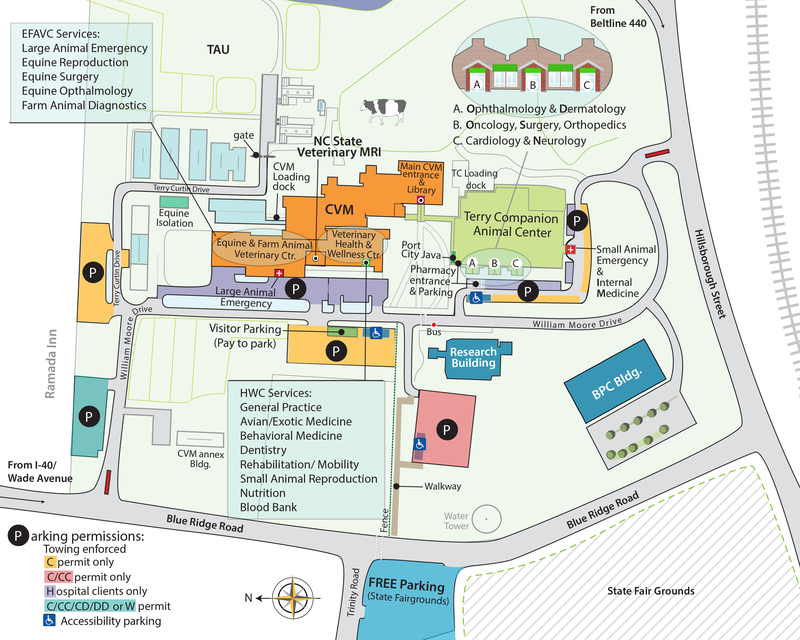 For more information on the NC State Veterinary Hospital equine service, go here.